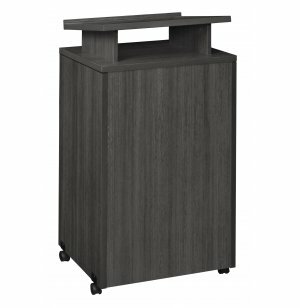 Locking casters make it easy to move this conference room lectern to the ideal spot. Enjoy full coordination in the boardroom with Legacy Conference Furniture by Regency. 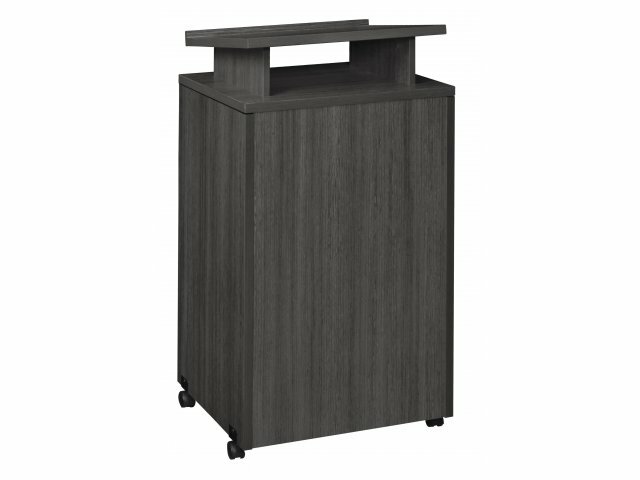 This sleek collection will fit right into corporate settings. The laminate finish, available in a choice of professional hues, looks great with a variety of décor and style choices. No matter which office furniture you choose from this collection, you can enjoy full coordination. To get the perfect meeting space, you need more than just a table and chairs. This conference room furniture offers a choice of functional pieces so you can mix-and-match to find your ideal arrangement. With the right furnishings in your boardroom, presentations and sales pitches can run smoothly. Regency Seating has been a manufacturer of quality office furniture for over 20 years. With value prices and a range of styles from the classic to the contemporary, Regency has earned a reputation for furniture as fine as it is affordable. Comfortable Reading: Angled reading surface with book stop is the perfect place for notes. 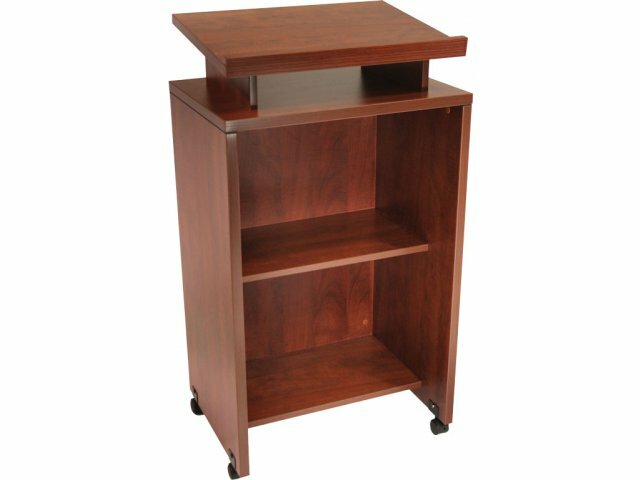 Convenient Design: Hidden shelf is ideal for extra materials or accessories. 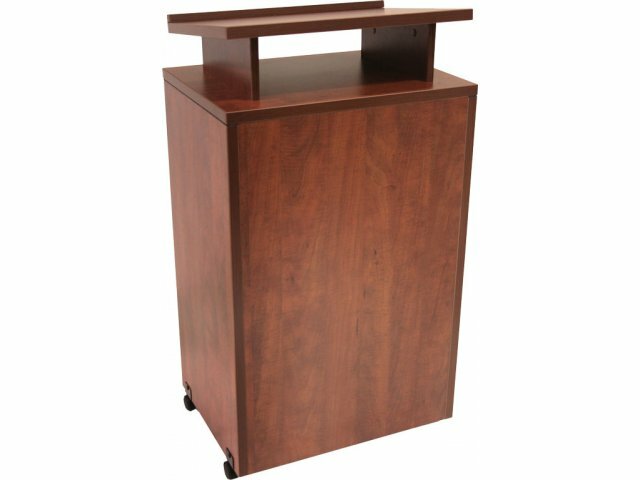 Easy Transport: Locking casters make it easy to relocate or adjust positioning. Full Collection: Combine any number of pieces with your choice of Legacy Conference Table. Smooth Finish: Surfaces are damage-resistant thermofused melamine laminate. Edge Protection: Matching 3mm edge banding protects edges from scratches and dents. Professional Hues: Choose a warm finish that coordinates with your space.